Migrant families from Honduras rest in a shelter in Mexico. Some will stay in Mexico due to friendlier Mexican policies enabling Hondurans to stay and work. Others will seek asylum in the U.S. Sometime in the second half of the first century of the Common Era, Saul the Jewish zealot, who had become Paul the Christian missionary to the Gentiles, wrote a letter to the early Christian church in the Greco-Roman city of Corinth. For reasons very much peculiar to context, Paul wrote these words to this minority community of Jesus-followers in order to analogize the Church at-large as a physical-spiritual body—a unified composition, but with its various, distinctive, functioning parts. For just as the body is one and has many members, and all the members of the body, though many, are one body, so it is with Christ. For in one Spirit we were all baptized into one body—Jews or Greeks, slaves or free. Honduran migrants get congested along the border bridge between Guatemala and Mexico. Among St. Paul’s strong admonitions was one that—I suppose rather suddenly—began to read me. Having grown up in the church, I was likely reading this text for the 57th time. Or maybe the 82nd. Either way, upon this reading I began to hear it, to see it, again, for the first time. On those parts of the body that we think less honorable we bestow the greater honor. An almost balanced mix of Catholic and Protestant, approximately 87 percent of Hondurans identity as Christian. Of course, all Hondurans—migrants or otherwise—also identify as human being. 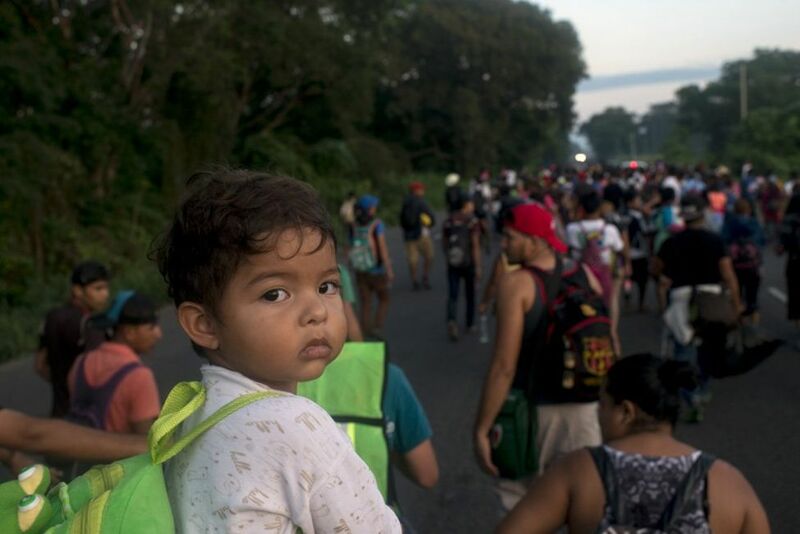 Still, I wondered: In the deafening roar of immigration politics in the U.S., does the Christian identity of Honduran asylum-seekers and refugees matter? And if so, how does it matter? Honduran migrants take the journey through Mexico. Photo: BBC News / Encarni Pindado. We are a proud nation that often draws attention to itself, and to our story, for the past role of Christian ideals, morals or virtues. We are a hopeful nation that clings to its Christian aspiration—however tenuous or even tenable. …find it impossibly difficult in heart and in practice to offer the most honor to the Honduran migrant? This—despite the migrants’ extreme poverty and harsh experiences of injustice, persecution and/or violence, which, not of their own doing, places them among the least honorable. Honduran migrants play card games in a temporary shelter in Tijuana, Mexico.